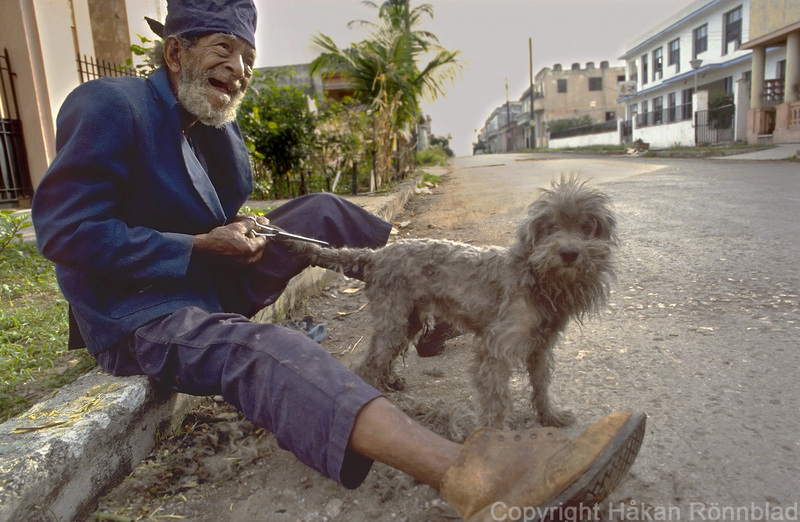 “Los Benavides” street in Luyano, Havana 1996. “El período especial”… no more Soviet Union, no more economical assistance. This meant tough times for the Cubans. 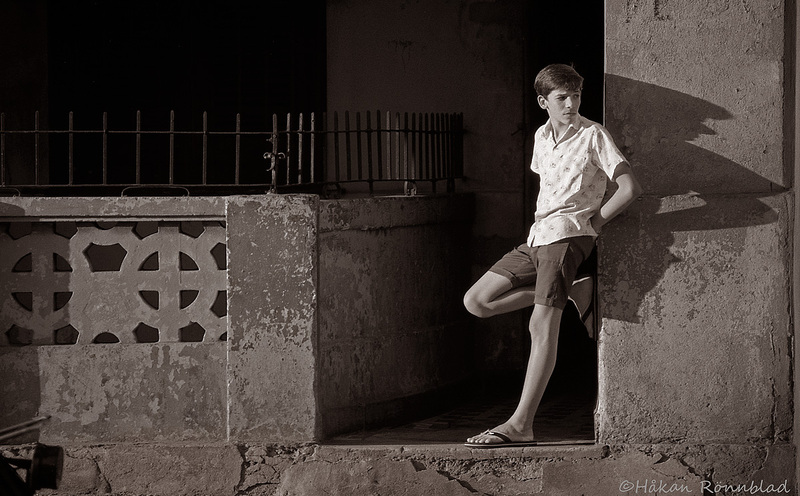 At the end of 1993 I stayed in Luyano, Havana. It was the “período especial”. 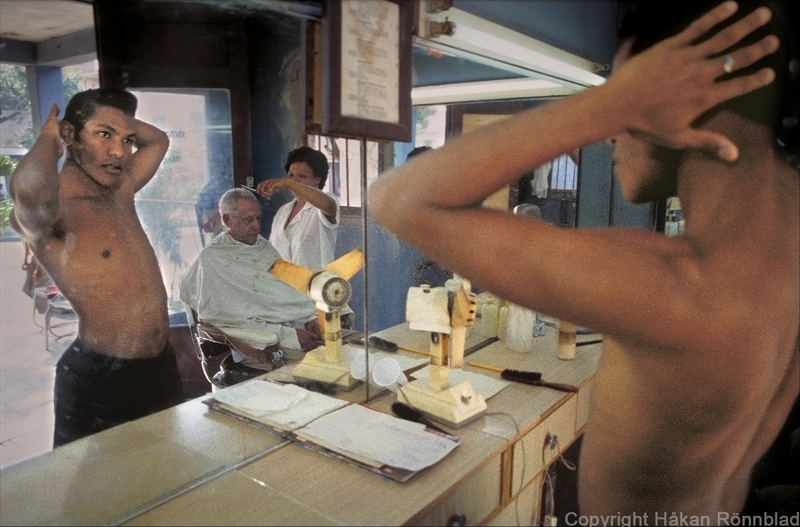 Several years of hardship for the Cubans. I caught the attention of the father passing by with the daughter sleeping in the bicycle carriage just in time to make him stop and give me the chance to take some pictures. added the photo (also the one where you see the father) and the comments and additional information poured in! Daysi Rivas : AYYYYYYYYYYY DIOS MIO HE VISTO ESTA FOTO MUCHAS VECES Y AHORA ES QUE ME DOY CUENTA QUE ES OMAR!!!!!!!!!!!!!!!!!! MI AMIGO DE TODA LA VIDA,………………. PERO ESTA FOTO TIENE UN MONTON DE AñOS, QUE SERA DE LA VIDA DE EL????????????? Oh my God I have seen this photo many times and now I understand that it is Omar!!!!! my life long friend …. but this photo is very old, what has happened with his life????? Here´s another picture and more information of the brothers. Jugando en su casa en Calle Melones 360. 1993. Aqui otra foto y mas información de los hermanos. 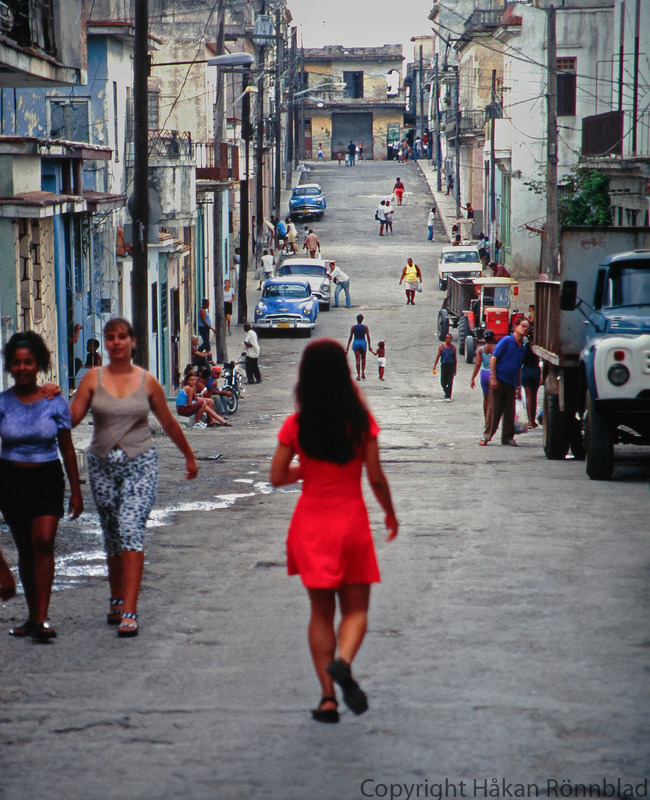 My first trip to Cuba 1993 I lived with a family in the district of Luyano, Havana. 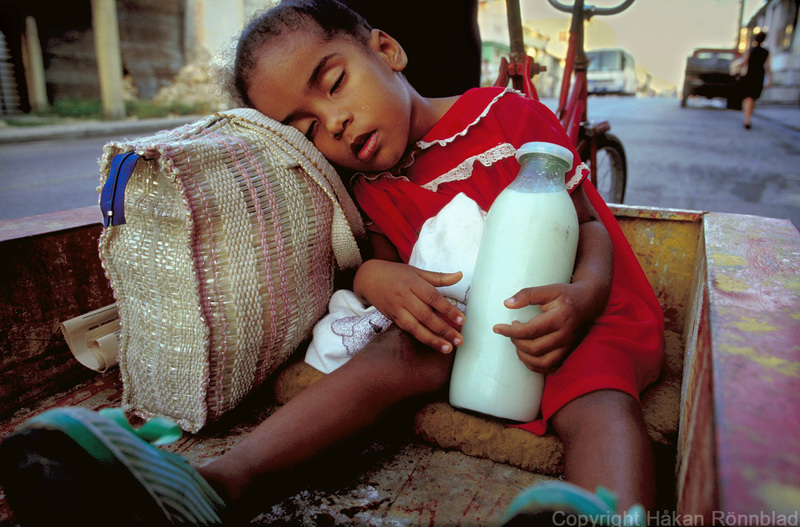 This was the so-called “período especial” and in practice it ment a decade of misery for the Cubans. Mayari sat at the corner of Municipio and Melones trimming the hair of his dog Miringuita. Of course I could not resist picking up my camera! contribute my photos (most of them almost forgotten and deep down in some old analog archive) to the group, is that the responsable person for the site was Reynier Perez. Internet, Facebook can sometimes be a fantastic media to reconnect people. 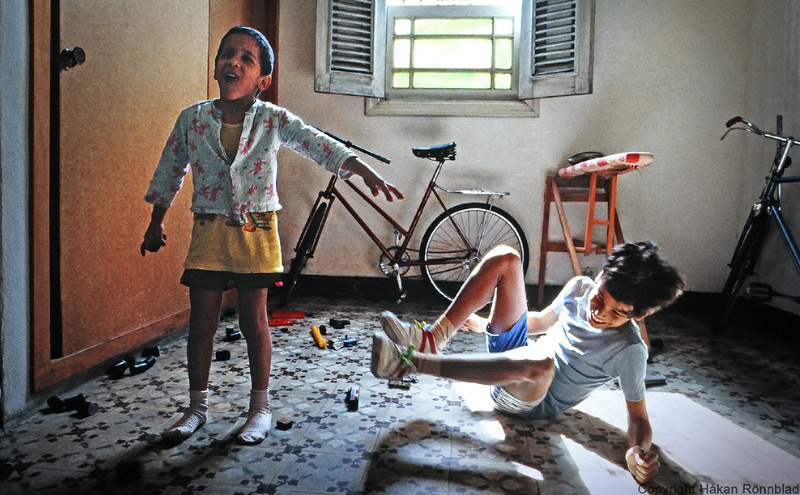 Many Cubans have left their country and are spread out all over the world. On “solo gente de Luyano” they can make contact with old friends and neighbors! increases the documentary value a lot. The picture of Mayari for instance no longer just represents an image of an odd character! Grettel Llana: My God whats he doing to the dog???? Grettel Llana: Looks like he wants to cut his tail.. Always when I go to Havana I visit Luyanó. It´s the “barrio” where I stayed on my very first trip to the city 1993. Eduardo is the grandfather of the children in the family I lived with. He invites you a glass of his home-made wine, and starts telling his story. It´s more or less the same theme every time.. the Cuban history, the liberation from the Spanish colonialism and of course the revolution. Eduardo has lived that history since the beginning of the last century! me quedé en mi primer viaje a la ciudad. Eduardo es el abuelo de los niños de la casa donde yo viví. Te invita un vaso de vino de la casa, y empieza a relatar su historia. del colonialismo Español y por supuesto la revolución. Eduardo ha vivido esa historia desde el comienzo del siglo pasado.